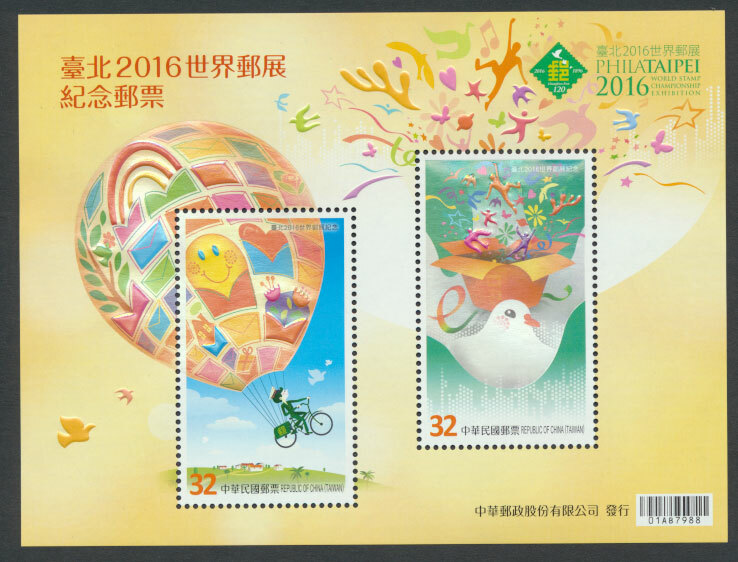 Hello, well I am back in the Philippines after a wonderful trip to Taipei and the PhilaTaipei World Stamp Championship Exhibition. Taipei was as lovely as ever and the exhibition was excellent. A good attendance on the days I was there and some really first class exhibition displays in the 2,450 frames on display. I must be honest and say I did not look at them all ! I managed to pick up some new issues and this miniature sheet is one of them. Issued for the exhibition. I hope you enjoy seeing it. I got two copies thinking that one would be a nice prize in a competition. So, do you know the answer to this? 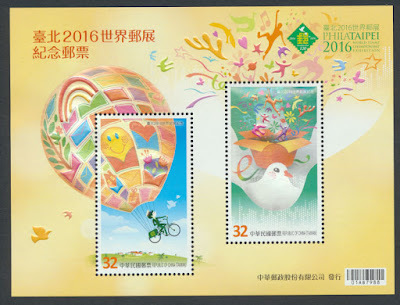 In celebration of the 120th Anniversary of which Postal Authority was the exhibition held? I will select, at random, a winner on Saturday 29th October, 4 days from now. Chance for all readers to enter I hope.